The idea for the Lost & Rare series grew out of the realization that a group of veteran producers and distributors of classic film content, who were already collaborating on many projects, each possessed many rare films we didn't quite know what to do with. The founding group for this new series includes Festival Films founder Ron Hall, Bijou Productions founder Bob Campbell and archivist/independent TV producer Derek Myers. The films distributed under the Lost & Rare banner are extremely rare and often unknown even to the most ardent of film fans. For many titles little or no information can be found via internet search engines or listed at IMDB, nor registered in Library of Congress copyright files -- or registered but not renewed, which suggests the possible extinction of original source materials. Unfinished Rainbows -- 1940 Technicolor docu-drama about the early history of aluminum, featuring the first credited screen appearance of Alan Ladd in his first color film role. Comic Strips of Television -- Lost 1948 Jay Ward pilot for the first cartoon series made for Television -- Crusader Rabbit -- plus Dudley DoRight's first appearance! 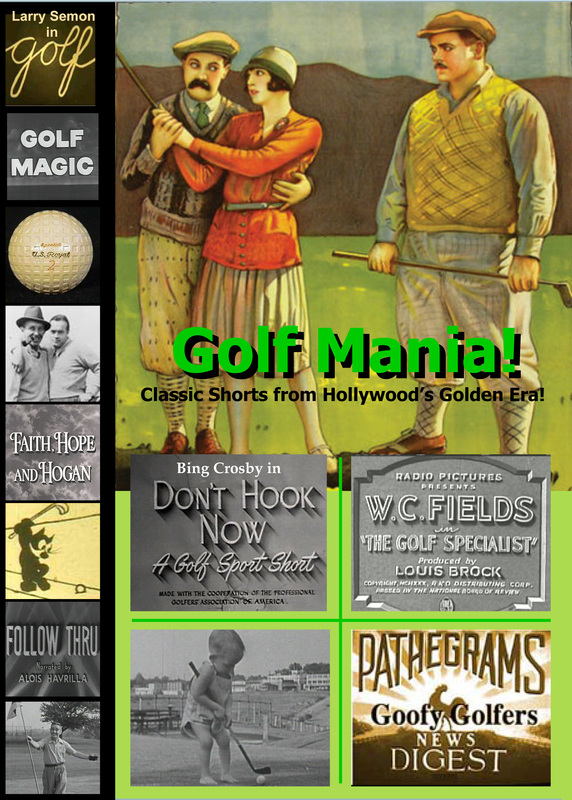 Golf -- 1922 two-reel slapstick comedy with Larry Semon and Oliver Hardy! Goofy gopher sequence may have inspired Caddyshack! Star of Bethlehem -- Unusual 1954 story of the Nativity produced by James Mason and featuring him and his family and five-year-old Jerry Mathers as Joseph! The Columbia -- 1949 rare documentary about the Columbia River, with 3 songs by Woody Guthrie! Lines & Fines -- Outlandish 1954 faux TV game show is in reality a thinly disguised promotion of Admiral refrigerators! The Butcher, The Baker, The Ice Cream Maker -- Innovative 1955 animated short -- first time in color (mint)! I.A.T.S.E. 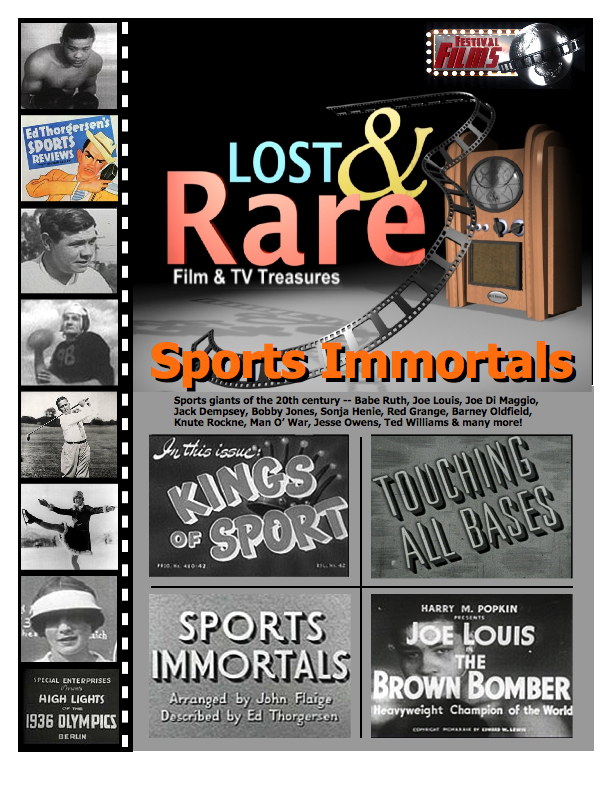 -- Lost historical 1946 short tells the history of The International Alliance of Theatrical Stage Employees with rare film clips from the theater and movies! Jolson's entire performance of Mammy from the Jolson story as never before shown. Faith, Hope and Hogan -- 1950s Christophers Show with Ben Hogan, Bing Crosby, Bob Hope, Phil Harris! I'm a Civilian Here Myself -- 1945 satirical Robert Benchley short produced for the Navy. 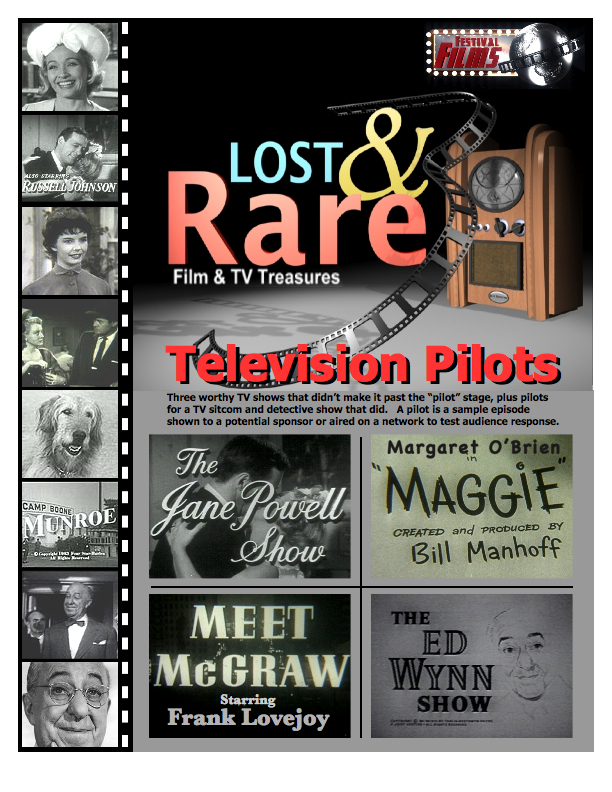 If you have a rare cartoon, TV show, war documentary or feature film, please contact us. We may be interested in issuing your films on DVD and sharing the profits! DVD authoring, design and opening logo are by Producer/Editor Peter Bedell.